How did you get into the textile/floor covering industry? When we were in high school, we both began working during the summers for a rug shop, in order to practice speaking a foreign language and make a bit of pocket money. From that point forward, we were hooked. Tell us about Nakkas. What inspired the idea and what is your vision for the company? After years of working for others, we decided to open our own shop. Over the years our shop grew, and we decided to refocus our efforts toward offering a very high level of service and design. Nakkas was born. 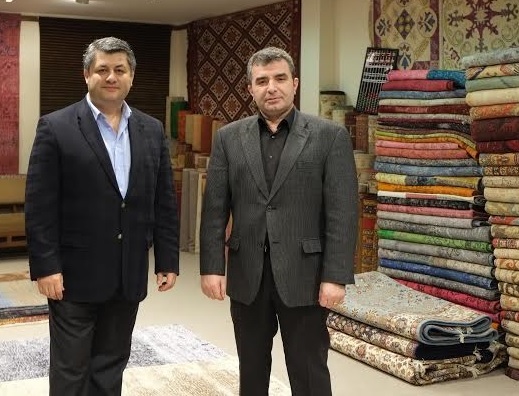 Our vision is twofold, but related: to keep traditions and designs of Turkish rugs alive by recreating designs from the 15th, 16th and 17th centuries AND develop contemporary lines that resonate with today’s market. What strategic partnerships/marketing strategies have you implemented that have attributed to Nakkas's success? The strategy with the biggest impact for us was to work with manufacturers and designers and start to weave our own rug designs. We were able to both bring back older designs as well as modify them to suit modern tastes. The ability to keep a traditional, handmade craft relevant in this day and age has kept Nakkas strong. We work with interior designers as well as paying close attention to design trends. We develop palettes and designs that not only integrate easily into contemporary styles, but become a lasting heirloom. Handmade rugs take time to weave; our designs must stand the test of time. Your greatest success as founder/CEO of Nakkas? Most difficult moment-how did you overcome and what did you learn? Our most difficult period at Nakkas was during the two Gulf crises. The rug market shrank dramatically, and we had very few visitors. But, making a handmade rug takes time, and production cannot stop. We learned at that time the importance of a strong positive relationship with manufacturers and suppliers, and how that enabled us, and our employees, to get through many months of austerity. Get up early, work hard, respect everyone you meet. You never know where support may come from. They are our family; we encourage them to feel that this is their own company. ‘What’ is not important, but with whom would we share it: Our families. For us, words to live up to. Coming to our shop everyday and meeting new people and checking out our new merchandise is truly our greatest passion! We are even here on weekends. 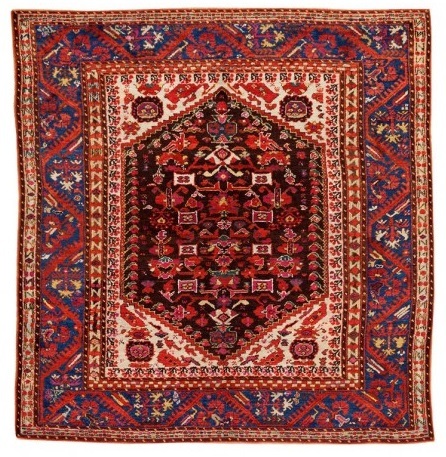 We are hard at work on a project to publish a book about our collection of antique kilims!